You must know her as Pune's badass biker chick. But Iran-born Maral Yazarloo is not just a motor-biking world record holder. She's also an artist, fashion designer, motivational speaker and campaigner of women's rights. Her boutique inside the J.W. Marriott Hotel in Shivaji Nagar is worth a visit, even if purchasing an outfit isn't on your mind. It's designed with Islamic inspirations, so you'll see a lot of use of red, green and gold. Yazarloo's designs range from elegant contemporary to more bold use of heavy embroidery in bright reds, pinks and lots of cuffs and prints among other things. But they don't look garish ever. You can pick up long skirts, heavily hand-embroidered long jackets that look like a nice sherwani. Slip into comfortably loose harem-like pants, try out tunic tops with detailing and more. It's a luxe store so prices are available on request. 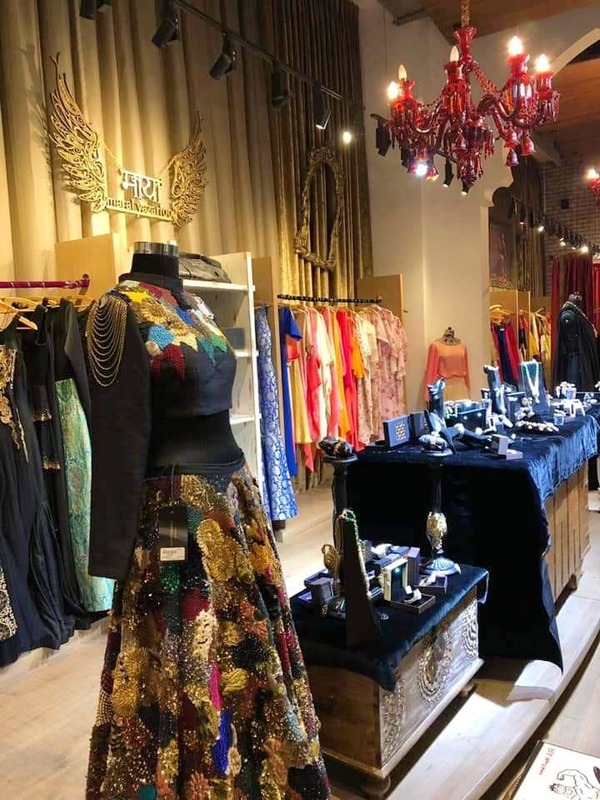 You can shop for ethnic tops, comfortable loose pants and dresses that usually have some Islamic-Indian inspiration.